UPDATED: Fri., May 11, 2018, 7:19 p.m.
DETROIT – DETROIT – The forecast didn’t look promising even days ago and the “Dracula” weather, as acting Mariners manager Manny Acta described it, that descended on Detroit didn’t let up or allow for baseball to be played on Friday night at Comerica Park. 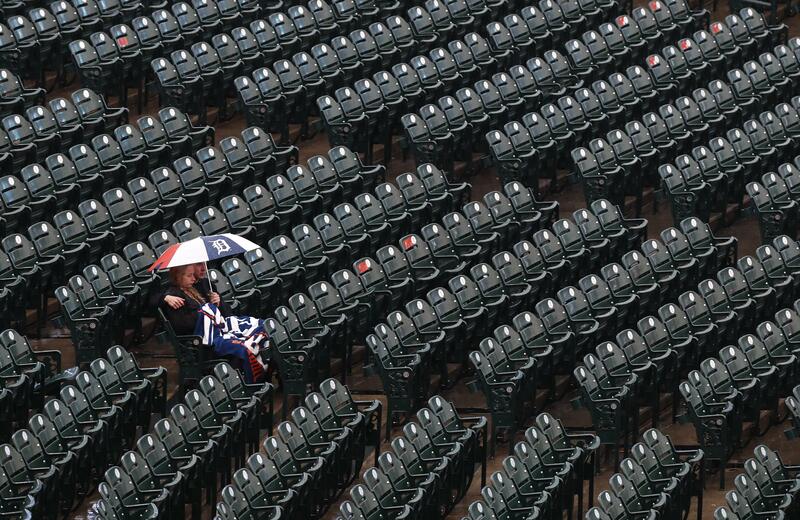 A steady rain that started at 4 p.m. and never really slowed, forced the opening game of the three-game series vs. the Tigers to be postponed by a day. The two teams will play a straight doubleheader on Saturday. First pitch for the first game is set for 12:10 p.m. The nightcap will follow 30 minutes after the final out. Both games will be televised by Root Sports. Left-hander Marco Gonzales will start Game 1 on Saturday while right-hander Felix Hernandez will start the nightcap. For the Mariners, the catching assignments will also be important because they want to have Mike Zunino available to catch James Paxton in the series finale on Sunday. So Zunino will catch Gonzales in the opening game on Saturday while David Freitas will catch Hernandez. The Mariners will also be able to add a 26th player for the doubleheader. But Acta wasn’t certain of who that would be yet. He was waiting to hear from general manager Jerry Dipoto. The player must be on the 40-man roster and not on the disabled list or be serving as “special advisor to the chairman.” It will likely be a pitcher that gets called up. Class AAA Tacoma is in El Paso, Texas, which could make for a tough travel day. But lefty Roenis Elias, who was scheduled to start on Saturday, seemed like the obvious candidate. Published: May 11, 2018, 5:08 p.m. Updated: May 11, 2018, 7:19 p.m.